Vuyo Mpako, chief digital and data officer at Old Mutual. SA-based financial services group, Old Mutual, is looking to unleash several digital technologies this year. The company recently partnered with Amazon Web Services (AWS) to bring a series of innovative services to the markets in which it operates. Following the partnership, Old Mutual rolled out a chatbot service. 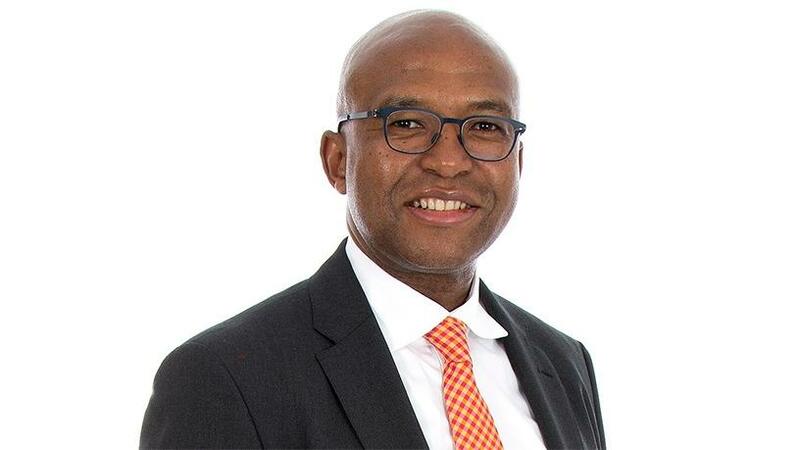 Vuyo Mpako, chief digital and data officer at Old Mutual, says working with AWS allows the financial services firm to bring innovation and agility for emerging markets to life. "The Old Mutual chatbot, currently available on www.oldmutual.co.za, is one of the first solutions in a series to be delivered over the coming months," says Mpako. "The chatbot is the first step into conversational artificial intelligence that is leveraging the myriad of innovative solutions like Amazon Lex, a service for building conversational interfaces using voice and text. Going forward, we will see the automation of many of our digital propositions and respond to the needs of our customers in real-time." In an e-mail interview with ITWeb, Mpako says in addition to the new chatbot, Old Mutual is looking to roll out a converged digital experience across all its customer, employee and intermediary digital touch points. "In line with our new brand reposition, we have refreshed the look and feel of our digital platforms to enable a consistent brand experience. We've also recently consolidated our USSD services into one (*120*6672#). Customers are now able to apply for a personal loan, request funeral cover or a call back and be serviced, all on one USSD string." The other innovation is the company is also rolling out an updated Old Mutual app which will include biometric facial recognition. "This innovation will allow any smartphone user with a front-facing camera (regardless of whether their phone has facial recognition or not) to access a complete view of their Old Mutual portfolio on MyPortfolio," says Mpako. Old Mutual is also working on a solution for the stokvel and investment club industry. The solution will help members of the R49 billion stokvel industry to create a custom stokvel, manage their calendars, ensure ease of communication and enable cashless settlement. The financial services firm is increasingly working with local and international fintech and insurtech companies to deliver change and innovation across many elements of its value chain, says Mpako. "This ecosystem of fintech partners ranges from start-ups that we source through our partnership with Startupbootcamp and other accelerators, to more mature technology companies, depending on the complexity of the problem statement. We continually evolve our view of what the business of the future should look like, and pro-actively engage with the right partners to deliver this over the short, medium and longer term." He notes the firm's aim is become a leading digital financial services company in the markets in which it operates and lead with digital in new markets it enters. "It's important that we create a consistent customer experience for all users and across all touch points, and create a seamless omni-channel experience. A more connected business needs to enable shared capabilities that can be leveraged across the digital landscape and enhance the value of digital touch points for the customer and business. Our customers' needs are changing and we understand their need for ease-of-use, especially for a new generation of digital first, tech-savvy consumers." Mpako is of the view that sustainability is key, and Old Mutual needs to ensure it innovates and changes to meet the demands of customers, and attract, develop as well as up-skill its employees to face a new, exciting future. He points out there are a number of challenges and opportunities when taking on large digital transformation journeys; some of which are unique to Old Mutual. These include the need to update parts of the company's heritage IT estate, so it can be consumed by digital platforms, he says. "We're also working with a dispersed landscape of secure and public portals, and our digital content strategy needs to be reframed to be more customer-centric and solutions-focused. Some of our existing digital touch points have inconsistent user experiences, features and functionalities. This will require a significant change in our way of working across the business and IT delivery to be more nimble and efficient in bringing the right solutions to the market. "Externally, we're operating in an environment experiencing digital change at a rapid pace and this brings the threat of new entrants and disruptors."